This lightweight combination aluminum and steel walker provides incredible support and stability for individuals who need some assistance while walking. 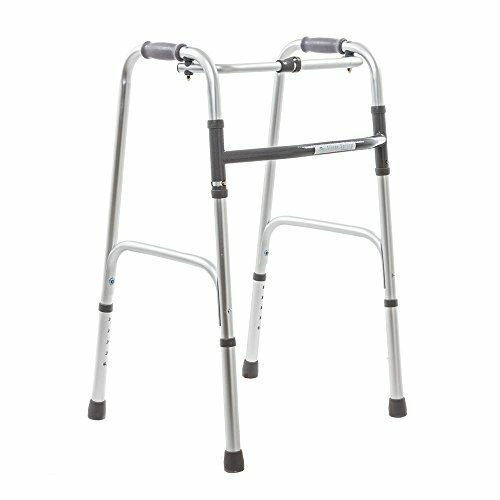 This walker accommodates users of all heights, and is easily adjustable by 1" increments from 31" - 38" tall. When not in use, this walker folds in half for easy, compact storage. The durable single steel H-Frame can support users up to 250-lbs.